Jill Hartz took the helm of the University of Oregon’s Jordan Schnitzer Museum of Art 10 years ago, and now after 30 years in the museum field, she will step down as executive director in August. When she started in 2008, it had been just a few years since the museum reopened following a multiyear, multimillion-dollar expansion that began in 2000. Hartz helped the museum find its new bearings, Provost and Senior Vice President Jayanth Banavar said. “Jill set the museum on a path toward financial stability, cultural significance and educational relevance to the University of Oregon,” he said. Under her leadership, UO students have been given opportunities to work in all areas of the museum, from collections and curatorial to education and exhibitions. And because she prioritized academic engagement, last year more than 9,000 university students from more than 40 departments across campus used the museum, its collections and exhibitions as part of their curriculum. Thanks to an anonymous $2.25 million gift last year, the museum received its largest endowment to date. The Hartz FUNd for Contemporary Art makes possible a host of special exhibitions, acquisitions, visiting artists and publications in the contemporary field. Since taking the helm in 2008, Hartz has stewarded an increase in the museum’s permanent collection of American, Asian, European and Latin American art. She also added more than 157 Cuban works to the collection and organized trips to Cuba and the Havana Biennial for museum members. Like most museums, at any given time, only 5 percent of the UO art museum’s collection is on view. Increasing access to the collection was a priority for Hartz and her staff. Thanks to a grant from the Oregon Cultural Trust, today more than 70 percent of the collection can be viewed online. In addition, she launched the successful Masterworks on Loan program, bringing works by world-renowned artists, from Jean Michel Basquiat to Pablo Picasso to last year’s showing of Ai Weiwei’s “Zodiac Heads/Circle of Animals.” In the past decade, the museum has published more than 20 books about works in the collection or special exhibitions. The museum’s budget has nearly doubled to $4 million since 2008, and staffing has been significantly increased. Before joining the UO art museum, Hartz spent 11 years as director of the University of Virginia Art Museum, now the Fralin Museum of Art. She previously worked at Cornell University’s Johnson Museum of Art. She has served on the board of the Association of Academic Museums and Galleries for more than 10 years, including two terms as president. During her tenure as president, she produced the first Professional Practices for Academic Museums and Galleries, now the accreditation standard for the field, and reorganized the association’s annual conference into a multiday, stand-alone program, first piloted in Eugene in 2017. 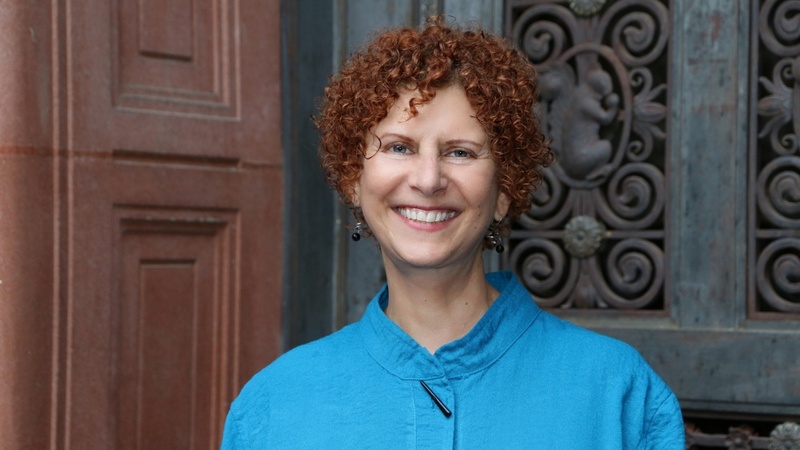 She is an active peer reviewer for the American Alliance of Museums’ Museum Assessment Program and is currently an accreditation commissioner for the Association of Academic Museums and Galleries. The Office of the Provost started a national search this fall for her successor. Hartz will remain in her position until a new director is on board and will continue to work part time for an additional year as an advisor and contemporary art curator.